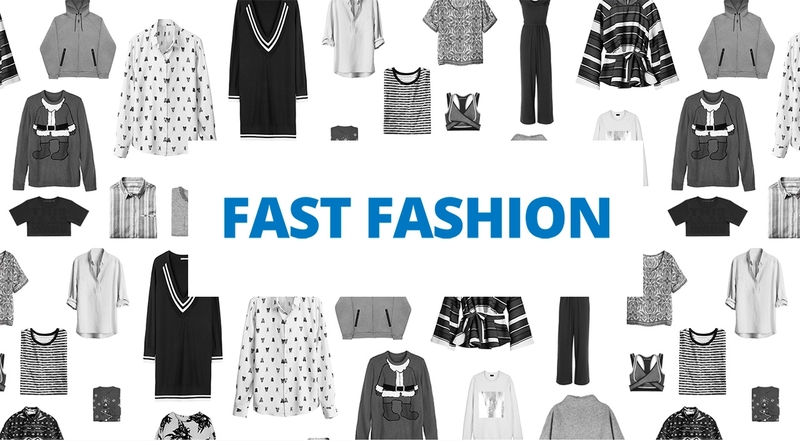 Fast fashion is a contemporary concept used by fashion suppliers to keep pace with current fashion trends and to carry their fashion designs to fashion shows on the fast track. When the quick response manufacturing emerged in the USA in 1980s failed to respond to successive visits, the fast fashion was born as a reaction in late 1990s and flourished in the 21st century. The fast fashion allows offering of the newest and the latest fashion products for affordable prices to customers at chic stores in a manner to create shopping freedom and excitement. Thanks to the fast fashion, even women who don’t have economic power to follow the latest fashion can dress according to the latest fashion. To this end, suppliers have introduced the interim fashion periods to present the ‘newest fashion’ in place of the conventional fashion seasons as spring, summer, fall and winter. Today, the firms which always monitor the needs and opinions of the customers and offer the correct product at correct time for correct price at correct place become successful and grow rapidly. Consumers’ awareness grows day by day, and it becomes ever more difficult to satisfy them. Now the end users demand higher quality and more visual functionality from their clothing and textile products. This urges the manufacturers and retailers to reduce the quantity of orders per model while increasing the number/diversity of the models. This requires tough, disciplined and rapid work from the manufacturers in the background. Supplier chains have been formed in order to keep pace with the system. The rings in the chain operate through planning and a centrally-controlled system on a sensitive balance. While in the past introduction of a product to the market, for instance shipment happened in durations such as 90, 60, 45 days, it now happens in periods shorter than 3 weeks. According to the research in parallel with this, 75% of the consumers give decision to purchase a new product within 3 seconds. In order to cope with such speed, the system works with lightning speed.